Navigation Events News Education About Solar Energy News From PR Newswire Solar Energy News From SACE TVA Questions? 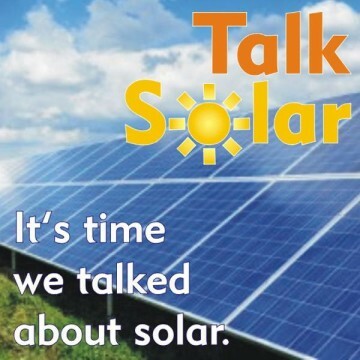 Do you support expanding solar energy in Tennessee? Nashville, Tenn. (November 8, 2017) – As the Tennessee Valley Authority (TVA) contemplates structural rate changes that would limit or prevent customer choice and fair access to affordable renewable energy, founding members of Tennesseans for Solar Choice have gathered to launch a new initiative in defense of energy freedom and fair access to affordable, solar energy. This diverse group of organizations plans to work together across political lines to ensure that TVA as a self-regulating, federal monopoly does not make decisions that limit customer choice for residents, businesses, or Local Power Companies, through unfair rate structures or heavy-handed tactics that restrict the solar power market. The coalition is a representation of the many voices currently being excluded from closed-door meetings where TVA staff are developing disincentives and road blocks for the growth of solar power and other customer-friendly technologies. All coalition members believe that Tennessee has the potential to be an economic and renewable energy leader by embracing solar choice. If the power company monopolies won’t sell solar power, consumers should have the right to enter into a contract for solar power from someone other than their local power company or the TVA, and increasing the use of solar energy will position Tennessee as a forward-thinking leader in renewable energy, which will help businesses and prepare the state for a more sustainable energy future.